CitNOW’s automotive video technology is being rolled out across Renault’s UK dealer network. And it is now in use across the 20 Renault Retail Group (RRG) sites. Renault-owned RRG is the largest Renault retailer in Britain and was an early adopter of CitNOW’s products, first using the technology in 2011. CitNOW created a management programme to help guide senior personnel to manage their teams’ video performance. CitNOW has also delivered training to 104 staff members, operating at 20 active sites and will now roll out its range of sales, workshop and web video tools across all group brands including Dacia, using CitNOW-created branded pages. It now works with 31 OEMs across Europe and 91 of the top 100 dealer groups in the UK. 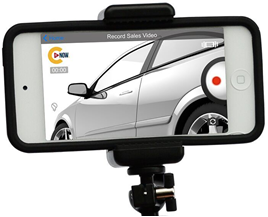 The growth of video in the automotive industry is expected to continue over the coming years and according to CitNOW’s research is predicted to become the lead business tool by 2020. A dedicated paper based on the research can be accessed at www.citnow.co.uk/white-paper/.